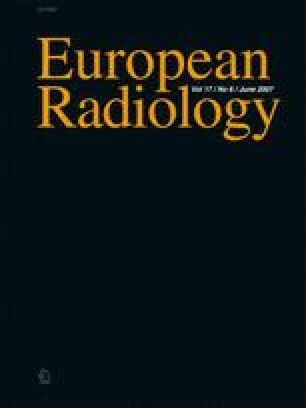 The aim of this study was to assess the feasibility of a differentiation of iodine from other materials and of different body tissues using dual energy CT. Ten patients were scanned on a SOMATOM Definition Dual Source CT (DSCT; Siemens, Forchheim, Germany) system in dual energy mode at tube voltages of 140 and 80 kVp and a ratio of 1:3 between tube currents. Weighted CT Dose Index ranged between 7 and 8 mGy, remaining markedly below reference dose values for the respective body regions. Image post-processing with three-material decomposition was applied to differentiate iodine or collagen from other tissue. The results showed that a differentiation and depiction of contrast material distribution is possible in the brain, the lung, the liver and the kidneys with or without the underlying tissue of the organ. In angiographies, bone structures can be removed from the dataset to ease the evaluation of the vessels. The differentiation of collagen makes it possible to depict tendons and ligaments. Dual energy CT offers a more specific tissue characterization in CT and can improve the assessment of vascular disease. Further studies are required to draw conclusions on the diagnostic value of the individual applications.